At the start of the year, Dundee based 3D Mapping technology company WRLD3D (formally eeGeo) were selected to represent Dundee at the Are You Talking To Me? 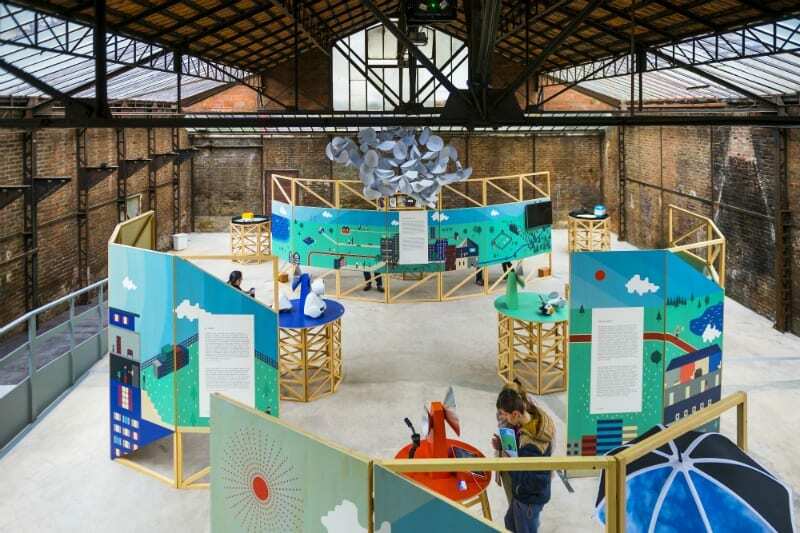 exhibition as part of this year’s UNESCO Creative Cities Annual Meeting in Enghien-les-Bains. Piers Duplock talks us through his experiences of their time in France. ‘We were recently invited to attend the UNESCO Creative Cities Annual Meeting in Enghien-les-Bains, France as representatives of Dundee, City of Design. We had a fantastic experience, meeting like-minded individuals in other cities of design spanning the globe, but also meeting people from the other clusters, such as literature and music, and finding many similarities there too. It all started with our fantastic UNESCO team here in Dundee reaching out to us, they informed me that the annual meeting was occurring and that there was an exhibit for each of the clusters. With our company being heavily design focused we jumped at the chance to be involved. The design cluster exhibition was called ‘Are you talking to me?’ and focused on connected objects and the idea that our devices are talking to each other and to us. Our application was accepted and we set about creating a demo showcasing the data visualisation options of different connected object sensors, on top of our map platform. We did this with different types of sensors and locations, such as electricity use in a university campus, road congestion along a bus route and meeting room booking and occupancy in an office environment – all of which was centred around Dundee, using our local partners and friends. We were extremely excited to also be invited out to attend the annual meeting, as well as the exhibit. We heard from the mayor of Enghien-les-Bains on what it means for them to be a designated City of Media Arts and their joy of hosting the hundreds of delegates from around the world. We also heard from the Director General of UNESCO, Irina Bokova, who urged us all to use creativity to build towards sustainable cities. All of which was very inspiring and it was great to hear people being passionate about global communities coming together to solve global issues. The main highlight for me was being able to sit down with the other design cities and discuss some of the important issues facing design now, and I’m hoping those discussions can continue in the future and affect action. Piers Duplock is the Producer at WRLD3D (formally eeGeo), a Dundee based company making 3D Mapping technology.